Testimonials and biography - Touch Display Research, Inc. Thanks for the over 500 endorsements from my industry friends. I’m so grateful for your encouragement, support, advice, information, and friendship! ” As Past President and Fellow of SID I can say that your presentation on Touch Display was very comprehensive and covered more than touch but all of the ways to communicate with a terminal. We all enjoyed and gained from your presentation.” — Past SID President and Fellow of SID. 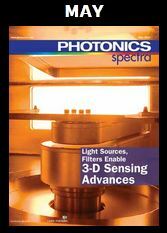 “…Fyi, some feedback; your presentation at Monday’s seminars was the most engaging and well presented out of all the speakers.”–an attendee of Monday Seminar at SID 2015 DisplayWeek, June 1, 2015. “We used to subscribe reports from other market research firms too. Some are useless; some are very informative and helpful. Your report is the latter.”— a client of our Quantum Dot display and lighting report. “We like your monthly report. It’s like you are traveling for us to over 10 international conferences each year, and writing travel reports. Since we are very busy every day with meetings and lab works, we can’t attend many conferences. Your monthly reports keep us updated with all the new trends.”– a client of the Touch and Emerging Display monthly report. “I was very impressed with your talk at ILCC 2016. That is very comprehensive view at all the prospects of different display technologies. “–an attendee of International Liquid Crystal Conference (ILCC), August, 2016. An equipment company has some unique machines to coat transparent conductors. It came to Touch Display Research for the market opportunity for these machines. Dr. Colegrove, who has been analyzing the touch screen, display and material industry for over 10 years, recommended the company to target the touch screen industry and certain segment markets, then recommended the “Touch Panel for Vertical Market Report” to the company, since the report profiled over 200 touch screen manufacturers. Then the equipment company bought the report. One and a half year later, Dr. Colegrove met the equipment company at a conference, the manager of the equipment company thanked Dr. Colegrove and her report. He indicated they’ve successfully supplied their machines to several touch screen manufacturers. And the equipment company is expanding business. A startup company worked with a local university and developed a unique material and process of coating the material. The startup company came to Touch Display Research for the market opportunity for this material. Dr. Colegrove performed feasibility analysis of this material and industry match-making service for this startup company. Dr. Colegrove recommended 6 companies that this startup company should contact. 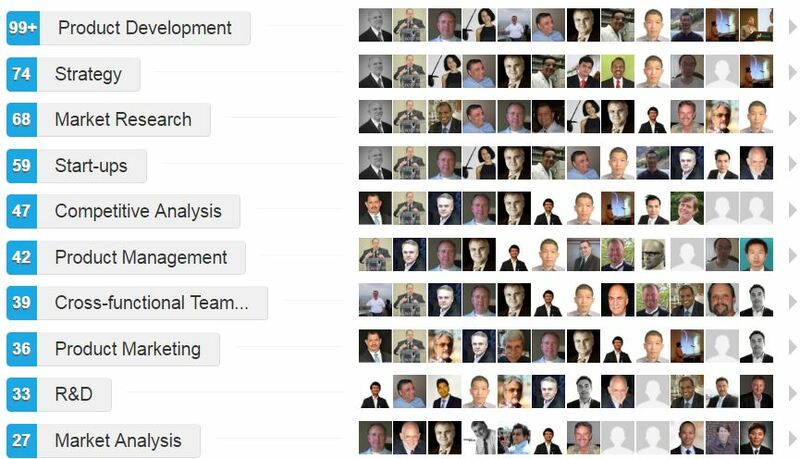 Then Dr. Colegrove send nice introduction email to connect the startup company with a high-level manager/officer in each of the 6 companies. Within 3 months, the startup company is working with 4 of those 6 companies and testing the samples of this material. An investor company is evaluating a startup company and its technologies, need to make the decision whether to invest in the startup company or not. The investor asked Touch Display Research to perform a due diligent of this startup company. Dr. Colegrove analyzed the technology of the startup company, then traveled to the facility of the startup company and talked to the managers and engineers. Then she reported the situation, some details that she found during the visit and made recommendations to the investors. The investors decided to make the investment in the startup company. Several years later, the startup company was acquired by a larger company. The investors earned millions dollars return on this investment. A company has two new technologies and need to make business strategic planning for the next several years. They came to Touch Display Research asking for consulting services and customized market forecast for segments. Touch Display Research proposed a custom project for this client, and performed a competitive analysis of this company’s technologies, (through asking questions by emails and having phone meetings with the client). Then Dr. Colegrove wrote a customized report that include competitive analysis, advice on application market targets for near term (1 to 2 years), mid-term (3 to 5 years) and long term (>5 years); and business strategies recommendation. Touch Display Research also provided a customized total addressable market (TAM) forecast, with detail break down by each segment market. An excel database with charts are also provided to client. Based on the result from Touch Display Research, the client company made a data-based, resource-focused business strategic planning. Dr. Jennifer K. Colegrove is the founder, CEO and Principal Analyst of Touch Display Research Inc. (www.TouchDisplayResearch.com), a market research and consulting firm focus on touch screen and emerging display technologies. She writes reports and performs consulting projects with passion about touch screen and display technologies, including touch screens, ITO replacement, active pen, smart windows, near-eye displays, flexible displays, OLED displays, OLED lighting, quantum dot, 3D displays, e-paper displays, pocket projectors, gesture control, voice control, eye control. Dr. Jennifer Colegrove has over 18 years of industry working experience. She holds lots of analyst “first”: She was the first analyst to write a comprehensive Touch Screen industry report since 2006 (therefore, she is called “Doctor Touch” by her colleagues); she was the first analyst to write OLED lighting industry report since 2009; she was the first analyst to write an Active Pen industry report since 2013; she was the first analyst to write an ITO-replacement industry report since 2013; she was the first analyst to write a Quantum Dot industry report since 2013; she was the first analyst to write a Touchless HMI industry report since 2014. 孔博士有超过18年的工业界工作经验。她有很多个 “第一人”: 她是自2006年以来写全球触控行业报告的第一位分析师, 同行们称她为 “触控博士”. 她是自2009年以来第一位撰写OLED照明行业报告的分析师. 她是自2013年以来第一位撰写主动笔行业报告的分析师. 她是自2013年以来第一位撰写ITO替代透明导电材料行业报告的分析师. 她是自2013年以来第一位撰写量子点行业报告的分析师. 她是自2014年以来第一位撰写非触摸人机交流行业报告的分析师. Dr. Colegrove has a good reputation of accurate forecast. She forecasted Samsung to release a smartphone with 5.x inch flexible AMOLED display 9 months before it happened; she accurately forecasted 4K OLED TV’s market entrance time 2 years before it happened. In “Touch and Emerging Display report”, June 2013, she forecasted “Apple will adopt AMOLED within 18 months”. With the Apple Watch announced in Sept 2014 (available since April 2015), her forecast becomes reality in 18 months. Dr. Colegrove wrote in July 2014, “…it’s my strong belief that Apple will release an active pen soon.” With Apple Pencil announced in September 2015, her forecast become reality in 14 months. She has five patent applications with one US patent granted. She translated her father’s book to English: Nuclear Soldier: Stories and Poems About Chinese Life (available on Amazon.com). Dr. Jennifer Colegrove was Vice President at DisplaySearch (currently IHS). Previously, she served as a senior analyst at iSuppli (currently IHS). Prior to that, Colegrove performed due diligence for Intel Capital, the venture capital arm of Intel, as a senior display engineer. She held senior engineer or project manager positions in several start-up companies. Jennifer Kong Colegrove has a Ph.D. from Liquid Crystal Institute at Kent State University in Ohio. She received both her bachelor’s and master’s degrees with honors from Beijing University in Beijing, China. “There will be some impact, but the impact is not much. According to the Quantum Dot 2017 Report, 4th edition, Touch Display Research forecasted that over 70% of the QLED TVs will be Cd-free or Cd-safe in 2017,” said Dr. Jennifer Colegrove, CEO and principal analyst of touch screen and emerging display technologies at Touch Display Research Inc.. “Cd-safe means contains <100 ppm Cd in the component to be compatible with the RoHS regulation. December, 2015, Applied Material website: The Future of Display is Flexible. If you’ve ever thought how convenient it would be to have a mobile device with a large display that you could fold and put in your pocket, you’re not alone. A recent Applied Materials survey showed that as many as four out of five people feel exactly the same way. That attitude is reflected in the strong growth anticipated in the markets for flexible and curved displays over the next several years. Market analysts at Touch Display Research, for example, forecast that flexible and curved displays will achieve 16% of global display revenues by 2023, compared with 1% in 2013. June 1, 2015, C3Nano press release – C3nano Inc., the performance leader in transparent conductive films (TCFs) and inks for the touch sensor and display industry, announced today that Hitachi Chemical Co. Ltd, (TSE : 4217) and C3nano have partnered in the joint development of transparent conductive transfer films (TCTFs) using C3nano’s Activegrid™ silver nanowire (AgNW) solution-based inks. The joint partnership enables a new class of flexible, more intuitive touch sensor applications, including those in large panel and curved displays. Analysts are widely predicting the rapid growth of ITO replacements. “Non-ITO transparent conductors are not only replacing ITO, but also provide functions that ITO cannot,” said Dr. Jennifer Colegrove, CEO and principal analyst at Touch Display Research Inc., publisher of the recently released ITO-Replacement 2015 Report. Jan 26, 2015, QD Vision press release— QD Vision, Inc., the leading manufacturer of quantum dot solutions for display products, announced that the European Commission has granted an exemption to the Restriction of Hazardous Substances (RoHS 2) Directive for Electrical and Electronic Equipment (EEE). The ruling confirms that QD Vision’s Color IQ™ quantum dot technology is beneficial for the environment. “This EU decision clears the way for QD Vision to strengthen their position in a market we estimate to grow to over $10.6 billion by 2025,” said Dr. Jennifer Colegrove, CEO and principal analyst at Touch Display Research Inc. “Quantum dot technology is one of the biggest breakthroughs for LCD in recent years.” Touch Display Research recently published their second edition of the Quantum Dot Display and Lighting Technologies and Market Forecast Report, available atwww.touchdisplayresearch.com. Jan 6, 2015, Nanosys press release: Nanosys today announced that they have entered into a multi-year patent license agreement with Samsung Electronics Co., Ltd. pursuant under which Samsung Electronics Co., Ltd. gains access to Nanosys industry-leading Quantum Dot patents covering a broad range of lighting and display products and technologies, including cadmium free quantum dots. 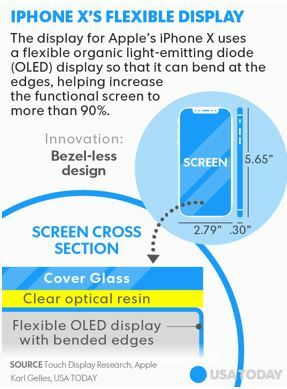 For this new feature, if it does indeed emerge, Apple would likely need Samsung’s expertise to provide the niche technology behind curved smartphone screens, experts say. But Samsung, in turn, is in need of new buyers to profit from the expensive manufacturing, they said. Colegrove said that based on reviews of Apple patent applications, the company might design a more sharply-tilted edge that’s easy to pick up from a flat surface, for instance. “They would design something more interesting,” she said. … “Flexible OLED displays could be used in four types of form factors: bendable dynamic, foldable dynamic, fixed curved, and flat with a flexible substrate,” said Jennifer Colegrove, chief executive of Touch Display Research. … All told, quantum dots are fast becoming what could be the next Wild West in the electronics materials business. At last count, some 60 entities, including companies, R&D organizations and universities, are working on quantum dots, according to Touch Display Research. …The monitor, when announced, was originally priced $2,499.99. Dell did not immediately provide reasons for the change on the price. However, Jennifer Colegrove, founder and president of Touch Display Research, said Apple’s 27-inch iMac, which sports a 5K display, may have been a catalyst. At $2,000, Dell’s 5K monitor may be worth it for those who want to upgrade from conventional 1080p monitors, Colegrove said. 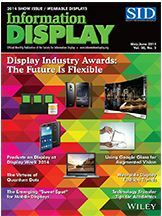 ….Touch Display Research analyst Jennifer Colegrove said she expected a $9.6 billion market for quantum-dot displays and lighting components by 2023, compared with sales of just $75 million last year. (link to Quantum dot report). 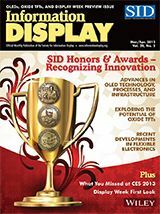 “…QDs could bring dramatic improvements to LCDs in terms of color range, accuracy, and power consumption, said Dr. Jennifer Colegrove, an analyst and president of Touch Display Research Inc. in January, “This is one of the biggest breakthrough technologies for LCD in recent several years,” she added, noting that the QD-LCD is beginning to challenge the active matrix organic LED (AMOLED). 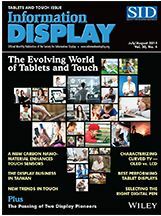 “We forecast quantum dot components will have rapid penetration into LCDs from 2014 to 2023.” The quantum dot display component market surpassed $70 million in 2013, according to a December survey of quantum dot suppliers conducted by Touch Display Research; QDs for display and lighting component will reach $9.6 billion by 2023, the firm predicted. Editor: Dr. Colegrove’s predication in January 2013 became reality in October 2013 when Samsung released the Galaxy Round with curved AMOLED. A couple weeks later, LG released the G Flex with flexible AMOLED too. ….. Researchers have long known that they could use ink-jet printing to make OLED pixels. In fact, it’s been the subject of years of research and development by the printing company Epson and others. But while several companies have tried it, the technology has not yet worked for mass production, says Jennifer Colegrove, president of Touch Display Research. Among other challenges, the lifetimes of printed materials have been too short, she says. 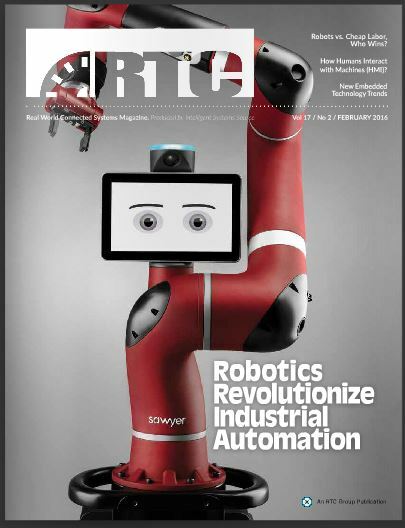 By Jennifer Colegrove, Ph.D. ,CEO and principal analyst, Touch Display Research Inc.
RTC magzine article, February 2016. Page 17 to 19. By Jennifer Colegrove Ph.D. Touch Display Research. embedded guest blog article, August 2014.